Regular Fit Jacket made in a soft cotton blend for a comfortable fit. 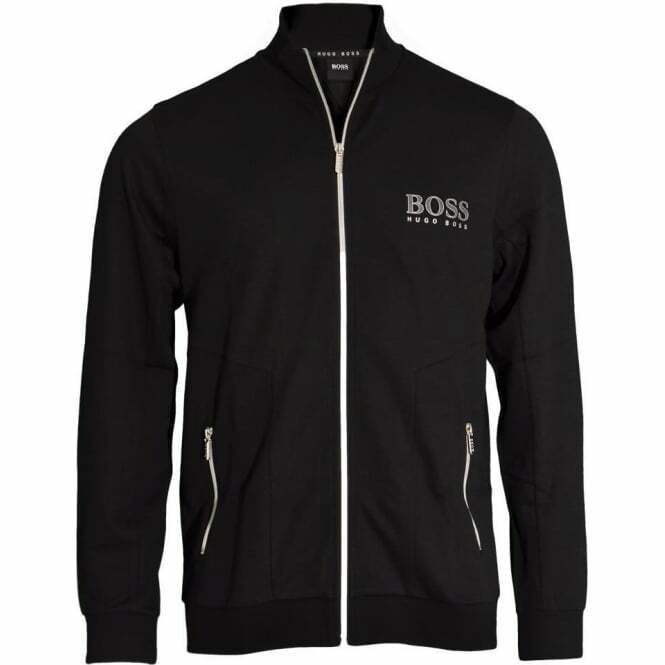 This HUGO BOSS Tracksuit Jacket is made from 70% Cotton / 30% Polyester. Our Collection at Boxers and Briefs contain only the highest quality HUGO BOSS Men's Loungewear. One of the core ranges is the HUGO BOSS Loungewear collection. The HUGO BOSS Regular Fit Tracksuit jacket is a comfortable layering option that can be combined with matching BOSS Menswear trousers for a coordinated leisurewear look. 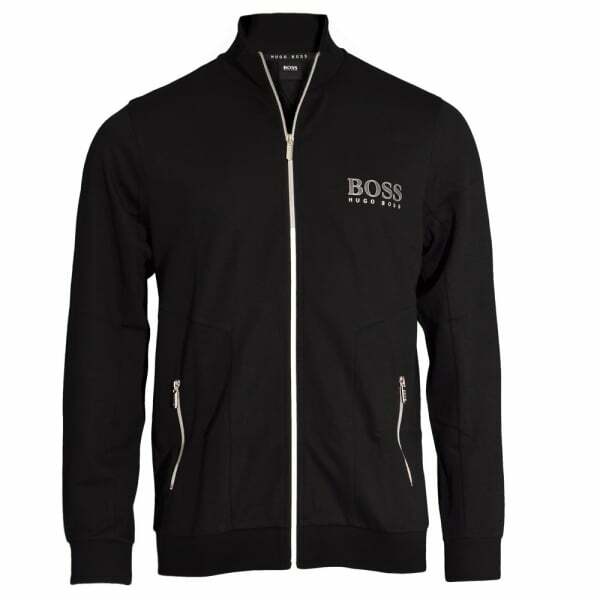 In this range we have a Black HUGO BOSS Tracksuit Jacket, which is available in multiple sizes ranging from Small to Extra Large.